Today (May 26, 2014) is Memorial Day, a national day of observance when we honor and remember those members of our armed forces who died while serving our country. As a tradition, Memorial Day has its roots in the American Civil War, when many local communities began annually decorating the graves of both Union and Confederate war dead in their local cemeteries, in late May. Originally known as Decoration Day, the term “Memorial Day” became more popular in the years following World War II, and was declared its official name in 1967. Although originally honoring Civil War dead, this day of remembrance has expanded over the years to include those who’ve died serving our country in all conflicts. Many also honor this day by flying American flags from their buildings. 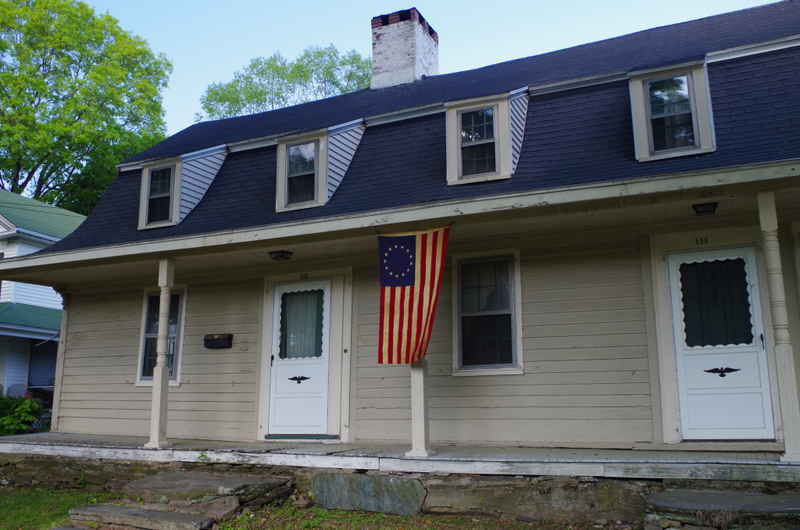 This morning saw an old Betsy Ross flag displayed from the porch of the Sanford-Bristol House (c. 1789) of Milford, Connecticut. Why is this significant? Well, partly because the thirteen star flag was still the flag of our country in 1789. But perhaps even more so because it reminds of us that those who had died fighting the Revolutionary War are also honored on this day, as well. Milford has very few surviving structures dating back to those earliest years of the new nation, and on this day, those that still stand serve as living, tangible reminders of a time when a great many sacrificed their own lives to initially secure the rights and liberties we all enjoy today. 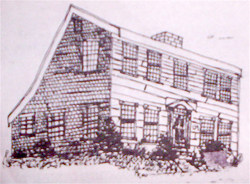 The Milford Preservation Trust wishes each of you and your families a pleasant Memorial Day weekend. And please take some time today to remember those service members who had fought and died for this country, both in more recent times, as well as in the distant past.